Planning ahead for your own future can be difficult because many people do not want to come to terms with their own mortality. It can be even easier to skip out on the estate planning process if you believe that you do not have the wealth necessary to warrant these documents. However, to ensure that your estate is not decimated by taxes, drive through the court system or the prompt that causes all of your family members to argue with one another, it’s important to take these five steps. 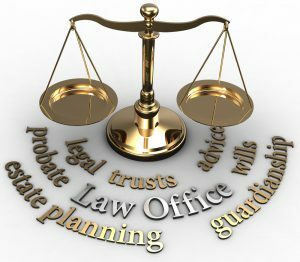 Consulting with the lawyer can help you navigate this process and ensure that all of your wishes are carried out. Far too many people fail to plan ahead for incapacitation or their own death and this can leave family members being left to interpret things with the assistance of the court. Thankfully, these five tips can make things easier for everyone. First of all, begin by taking an inventory of all assets and liabilities to determine what’s included in your estate as well as your net worth. Identify who needs to be listed on all of your relevant beneficiary forms and set an annual calendar reminder to update this, if necessary. Determine whether your executor will be an attorney, a corporate trustee or a family member. Determine the type of plan that makes the most sense for you, incorporating concerns about privacy and court oversight. Identify an attorney who has experience in the field to assist you with your estate planning documents including your will. It is far better to consult with an individual rather than online resources because there is far too much room for error when attempting to accomplish estate planning on your own.